As an advanced processing technology, laser die cutting machine has its own significant advantages, such as high efficiency, high precision and high flexibility. It has been rapidly and widely used in the industrial machinery industry and has received increasing attention from the industry's members. With 40 years of continuous development, laser die cutting machines are maturing. But how will it develop in the future? What is its development trend? In the background of China’s ambition to achieve transformation and upgrading of manufacturing industries and smart manufacturing, the issues deserve special discussion. In order to deeply understand the current status of laser die cutting machines, we can summarize and analyze the following aspects. The laser light source revolution of the laser die cutting machine started when the world’s first high-power fiber laser die cutting machine came out in 2008. Ten years later, high-power CO2 laser die cutting machines fell into abyss due to severe decline. The epoch-making fiber laser die cutting machine ensures its leading position by virtue of its higher cutting efficiency, lower operating cost and wider cutting range. The world's leading suppliers of laser die cutting machines must turn to the development and sales of fiber laser die cutter, and a large number of manufacturers who only manufacture fiber laser die cutter have emerged both internationally and domestically. In recent years, more than 40% of industrial lasers for laser processing manufactured and sold in the world are used for laser die cutting, which exceeds laser welding, laser marking, laser texturing, laser heat treatment and laser cladding. It shows that laser cutting technology has a very important technological application status, and it also indicates that laser die cutters have a very eye-catching development space. This is the most important technological revolution since the birth of the laser die cutting machine. The direction of development of laser cutting machines has turned to professional applications such as die board cutting, pipe cutting, 2D cutting, robotic 3D cutting and 3D5Axis cutting. They are now standard products. 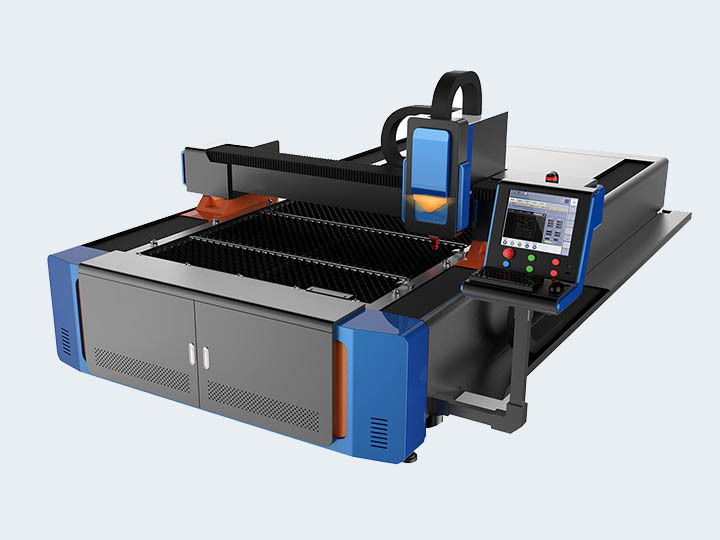 For laser die cutting machines, if equipped with auxiliary devices such as automatic feeding, automatic unloading, automatic scrap recovery, and finished product automatic processing, will effectively reduce the workload, workers, standby time, and even achieve unattended laser cutting operations to improve the laser die cutter efficiency. In fact, all the well-known manufacturers of laser die cutting machines in the world are devoting themselves to the field of automation and trying to grasp the first-mover advantage. These efforts have also led to the development of laser die cutting machines.